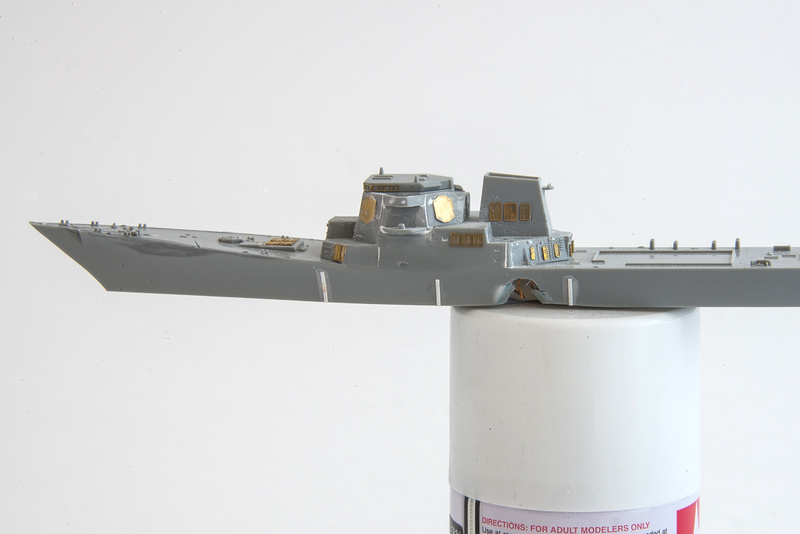 CyberHobby forgot to add the three vertical beams on the hull – using 0.3mm sheet styrene, I cut three thin rods to represent them… Not entirely correct (they should be rounded), but better than nothing. 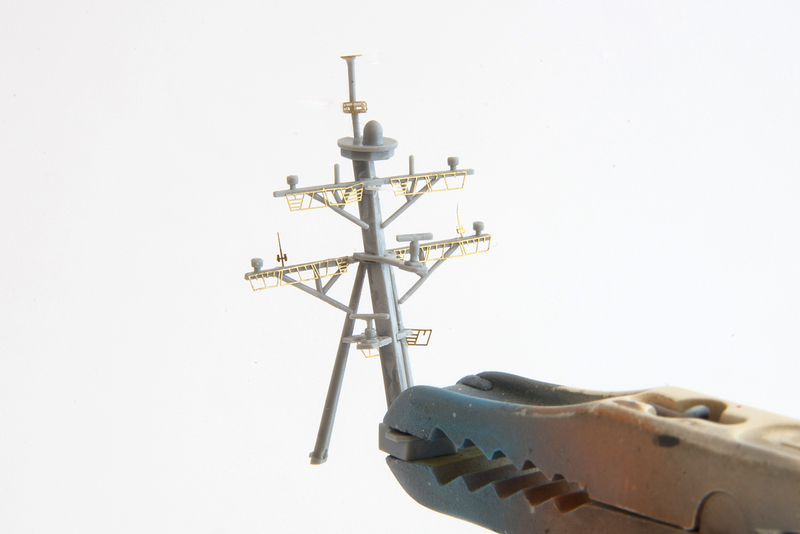 Quite some time went into building the ship mast. Unfortunately I am not entirely satisfied with the result (some bent pieces), but unless looking at it from really close, it looks quite good. I will probably add additional railing to it, when painted. 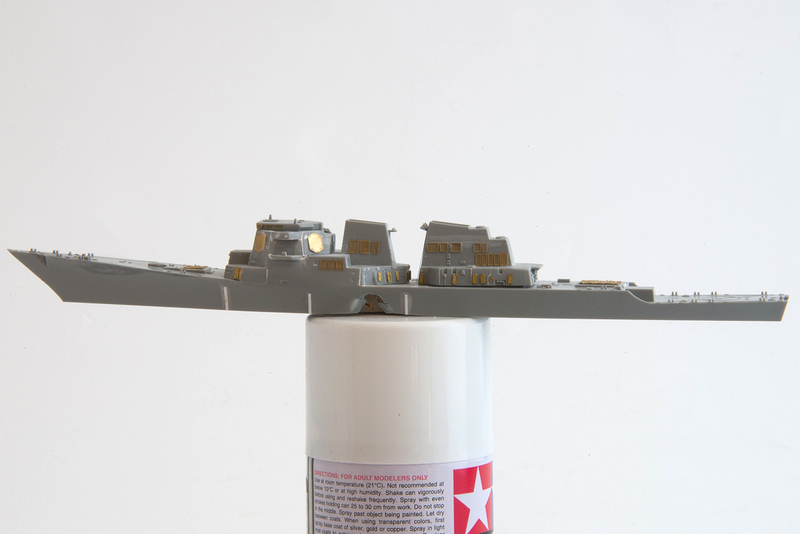 Sideview – as I write this, the ship rests painted in primer and I really look forward to painting her.